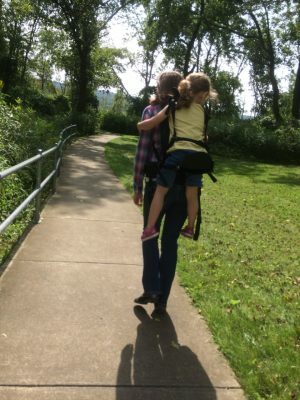 The Freeloader Child Carrier Review by Maura White | 10% off Freeloader - The First Child Carrier Built Specifically for Toddlers! 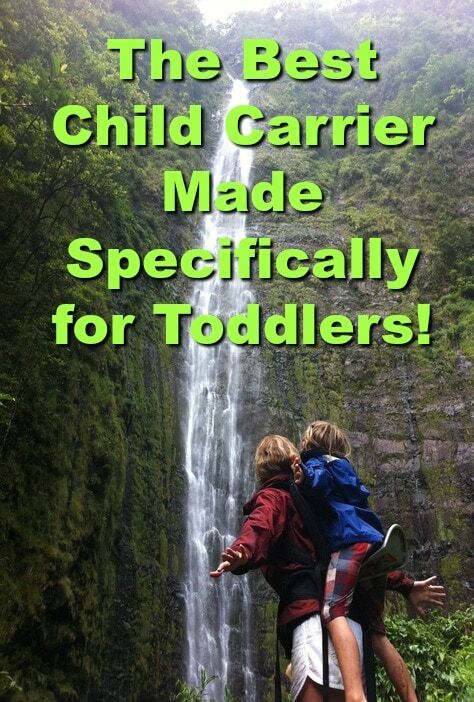 10% off Freeloader - The First Child Carrier Built Specifically for Toddlers! Blog: Happy Deal - Happy Day! Anyone have toddlers that are too big for an infant carrier, but not big enough yet to make it through the day of long walks, or hikes? Then you should try the Freeloader! There is a promo code out right now to save 10%! This would be a great baby shower gift! 10% off your Freeloader Child Carrier when you enter the code "freeloaderfun." The Freeloader is the First Child Carrier Built Specifically for Toddlers! It is a new, better child carrier. Compact, lightweight and portable, the Freeloader child carrier uses advanced materials and design to create a better experience for parents who love spending time with their kids. Whether you are traveling by air, going to the zoo, or hiking with your little ones, the Freeloader is ready to help carry the load. When not in use, the Freeloader's integrated aluminum seat folds up neatly to the size of a daypack. The Freeloader is a perfect fit for parents that want a lighter, more versatile carrier. The Freeloader features an easy-to-use, 5-point safety harness. The safety harness is specially designed to fasten securely and safely out-of-reach of your child. 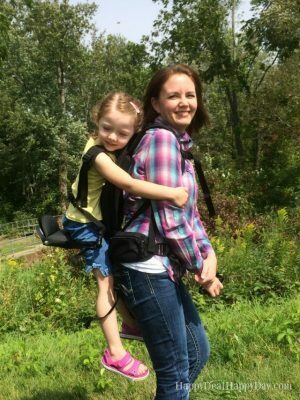 The Freeloader provides wide, ergonomic shoulder and waist straps to evenly distribute your child's weight to your hips and core. The contoured shoulder straps are adjustable and provide extra padding for comfort and support. Padding in the back panel and seat offers extended comfort for your child. The Freeloader is small enough to carry-on and stows away neatly, making it perfect for air travel, road trips and more! See more at on their website and find Freeloader on facebook. My daughter weighs 35 pounds and this carrier is rated for up to 80 pounds - so we could in theory use this for another year or two which opens up our options to longer hikes! If you want to enjoy the outdoors with your toddlers and don't want to be held back because of kid whining, then this is the product for you! Be sure to take advantage of this promo code now: 10% off your Freeloader Child Carrier when you enter the code "freeloaderfun." Looking for more baby and toddler products I recommend? Read this: 15+ Toddler & Baby Gear Products You Will Really Use!